If you’re reading this, you’re probably not normal. And neither am I. You and I probably have a bit of an unhealthy interest in all things media – radio in particular. You probably don’t watch an enormous amount of television – less than the 3 hours and 52 minutes a day that was the average viewing time in 2013. You might not even own a TV – watching iPlayer or Netflix on your tablet or laptop. But you are not normal. 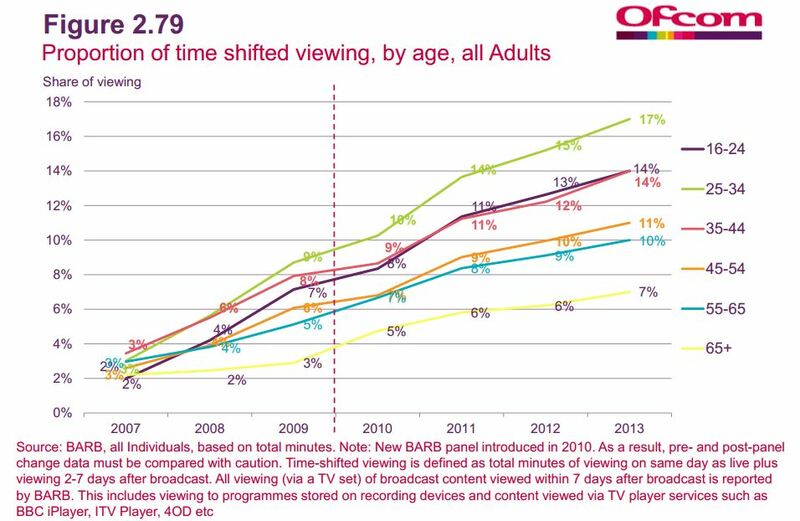 I do get slightly fed up when I repeatedly hear that “people don’t watch television any more” or similar claims. 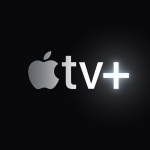 There does seem to be a prevailing view amongst some – in the technology industry in particular – that people are effectively watching all their TV viewing on demand. That might be via their PVR, or it might be via iPlayer/Netflix/Amazon. Most recently I heard the claim in discussion about the “Dapper Laughs” furore. Surely being on television makes no difference in this YouTube/Vine world? Who watches live TV any more? Well, er, TV really does matter. Most people in the UK watch television (94.4% of the population in the most recent week on the BARB website). 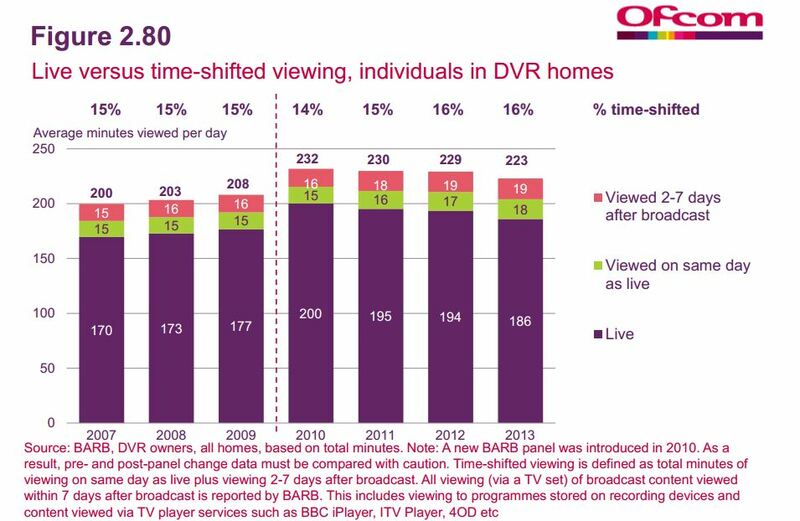 Most of the time they spend watching TV it is live (89% of all viewing in 2013 according to BARB, as reported by Ofcom). It might seem incredible. But it’s true. 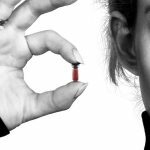 You and I might pick and choose all our viewing in advance, and largely watch it back on-demand, with perhaps exceptions for news, sports or big reality shows (the latter being less an issue for me). But let me reiterate: we’re not normal. Even though PVR ownership, and access to services like the iPlayer have grown enormously, viewers have not shifted as fast as people sometimes think they have. And that’s really important when we make broad brush-stroke comments about the importance of TV. 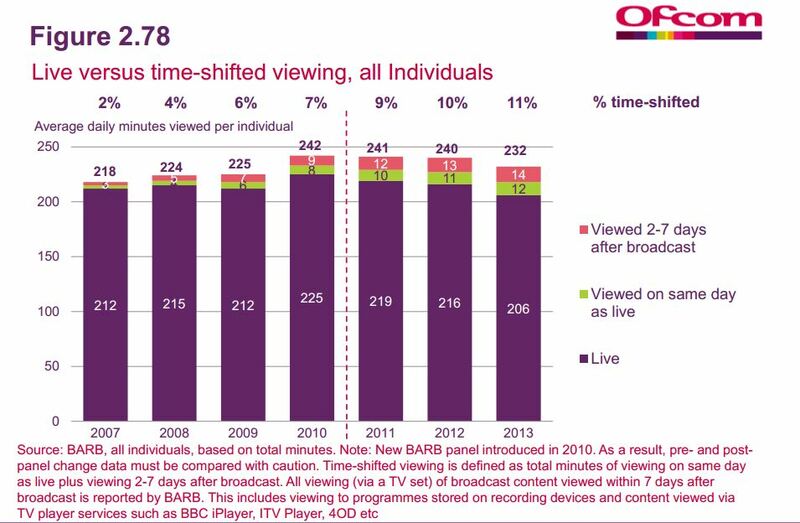 This shows that of the average 232 minutes a day UK individuals spent watching television in 2013, 206 minutes (89%) were live. And the trends show that this isn’t actually changing all that fast. There will be changes in the future. You’d expect that if the BBC Trust allows BBC 3 to go online only, that’ll make a difference. And increased availability of PVR-functionality or access to IP delivered on-demand streaming, will also make a difference. But it’s not as fast as you’d think.